McLean, Va., February 2, 2018—The MITRE Corporation welcomed a diverse group of the nation's top health care leaders to its newly formed Health Advisory Committee aimed at transforming the national health enterprise. Heading up the committee are co-chairs Gail Wilensky, noted health economist and former director of Medicare and Medicaid programs and adviser to President GHW Bush; and George Halvorson, children’s advocate, former Kaiser Permanente CEO and Chair of the First 5 Commission for Children and Families for the State of California. Members include former leaders of major health providers and insurers, former senior government officials, and quality experts, among others. The group recently met in McLean, Va. for its inaugural meeting. "It's an honor to co-chair this committee of real leaders who bring important perspectives to identify where and how a trusted relationship with the government can result in a truly world-class modern system that improves the health of people. We will examine the practical promise and pitfalls of new technologies, and the roadblocks to safely introducing them to improve care delivery," said Wilensky. "Health care is going through some very important changes and we wanted to bring together a set of extremely well-informed people to look at some of the key issues that we will be facing. It will be an interesting set of meetings," said Halvorson. MITRE's executive leadership will draw upon the committee members' expertise to shape strategic planning, research and development, staff development, partnership formation and other strategic investments in solving crucial challenges in health care. 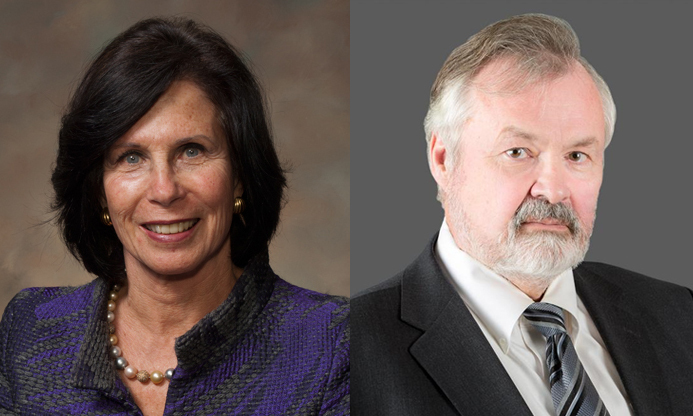 "We thank these leaders for their time and insights, which are already influencing our direction as we work across government to accelerate beneficial change," said Patty Steinbrech, Vice President and Director, Centers for Medicare & Medicaid Services (CMS) Alliance to Modernize Healthcare (CAMH), operated by MITRE. MITRE operates The Centers for Medicare and Medicaid Services (CMS) Alliance to Modernize Healthcare (CAMH), sponsored by CMS on behalf of the Department of Health and Human Services. The company also provides trusted advice on health and health care matters to other executive departments, including the Department of Defense and the Department of Veterans Affairs. "We appreciate the committee’s quick start at identifying key challenge areas, where public and private solutions are not yielding the progress we need as a nation to improve health," said Jackie Mitchell Wynn, Vice President and Director of the Center for Enterprise Modernization represents MITRE's Center for Veterans Enterprise Transformation on the committee. At MITRE, we work across the whole of government to tackle difficult problems that challenge the safety, stability, and wellbeing of our nation through our operation of Federally Funded R&D Centers as well as public-private partnerships. With a unique vantage point working across federal, state, and local governments, as well as industry and academia, we work in the public interest to discover new possibilities, create unexpected opportunities, and lead by pioneering together for public good to bring innovative ideas into existence in national security and the public sector. Learn more about MITRE at www.mitre.org, twitter.com/mitrecorp and facebook.com/MITREcorp.